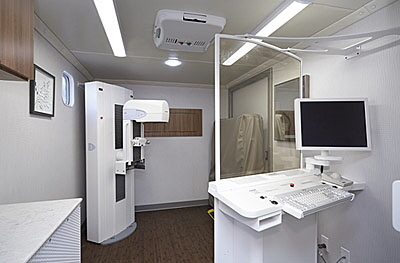 X-Ray's Mammographic units are a full-service, self-contained mammography clinic on wheels featuring the latest in mammography technology and service. Our Mammographic Imaging Services are accredited by the American College of Radiology (ACR) and by the FDA. Our formula for success in mobile mammography is based on safety, convenience, reliability, as well as state-of-the-art training, equipment, and techniques. Our board-certified, registered radiologic technologists have more than 20 years experience in the mobile diagnostics field, and specifically in mobile mammography. In each of these environments, our mobile mammography unit provides all the advantages of an in-house mammography department, without the costly overhead of maintaining such an operation. 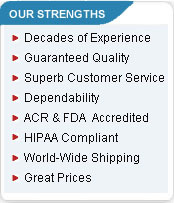 Our formula for success in mobile mammography is based on safety, convenience, reliability, as well as state-of-the-art training, equipment, and techniques. 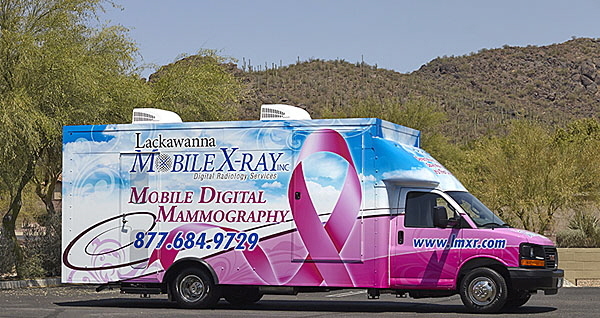 Our mobile mammography services are provided in 2 26 foot state-of-the-art vans that are fully equipped and self contained. These vans have been especially designed for the utmost in patient comfort, convenience, and privacy in mobile diagnostics. We offer four-view screening mammography exams, which usually take 15 minutes. These low patient dosage mammography units are PLANMED SOPHIE CLASSIC. Such equipment allows sophisticated diagnosis with minimal patient discomfort. By using our mobile mammogram solution, medical facilities can save thousands of dollars in reduced overhead while significantly increasing patient comfort. Breast cancer is the disease many women fear the most, and early detection and treatment can dramatically improve a woman's chances of survival. Our mobile diagnostics service helps your facility in early detection measures. If detected early - and mammography is the best way to do that - the five-year survival rate for patients is more than 90 percent. 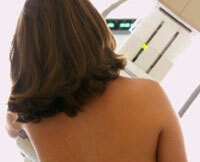 Furthermore, studies are showing that the use of mammography may reduce the overall breast cancer deaths by 30%. In addition to mobile mammography, patients will also receive educational materials addressing breast cancer screening. 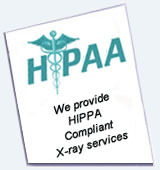 Our technicians will take the time to fully explain the procedures, prevention techniques, and answer any questions. We use our own in-house board-certified, registered radiologic technologists, and engage local physicians for exam interpretation. This makes it possible for us to provide written results mailed to your physician and records are kept for annual comparisons. Our mobile diagnostic mammography services are performed promptly, on demand. Using advanced technology and efficient planning we can offer the fastest, most reliable response rate in the industry.